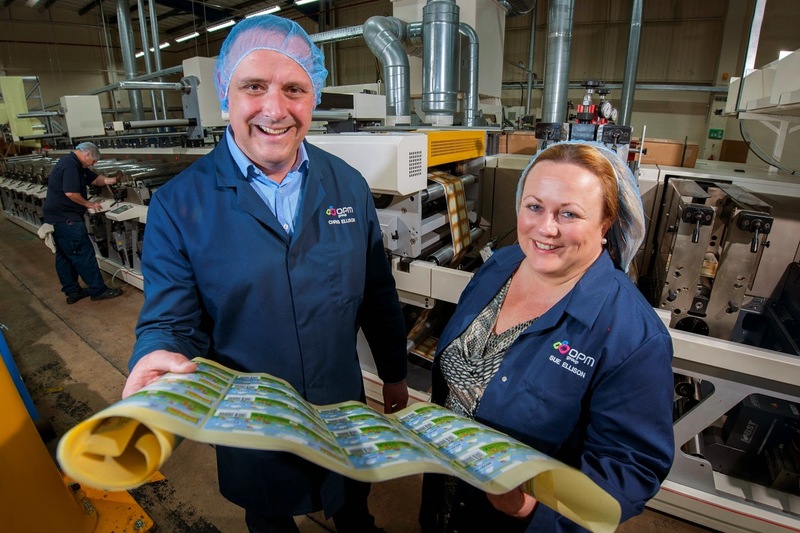 A print packaging and labelling company has relocated its operations to newly refurbished premises in Leeds, with help from a £90K grant from the Leeds City Region business growth programme. OPM (Labels and Packaging) Group, run by husband and wife team Chris and Susan Ellison, completed the move from bases in Bradford and Keighley to the 56,000 sq ft manufacturing plant, located on Gelderd Road, Leeds, in December, as they aim to double turnover of the £9.4 million business over the next six years. In the process they have invested upwards of £2 million in the relocation, premises fit out and new equipment. Centrepiece of the Leeds operation is a brand new FA-6 printing line, manufactured by NilPeter. The new machine uses the latest electronically-controlled technology to print flexible packaging, sachets, films, laminates and self-adhesive labels for the food and beverage, pharmaceuticals, health, beauty, automotive and dietary markets. A grant of £90,000 was received towards the cost of the £1.1 million machine – the only one of its kind in Europe – through the business growth programme administered by Leeds City Council’s business support team. “One of the key attractions of Leeds is a ready-made workforce with people who have worked in the industry. Although we’ve had to do a lot of retraining because of the specialist nature of what we do, the biggest factor in moving was the ability to recruit. “The FA-6 enables us to offer additional services to our clients. It combines unrivalled speed and accuracy with the ability to print at larger packaging sizes and will handle a greater range of materials. 1. Pictured: managing director Chris Ellison and commercial director Susan Ellison at the new Leeds plant of OPM Group.